The sciatic nerve is the largest nerve in the body. 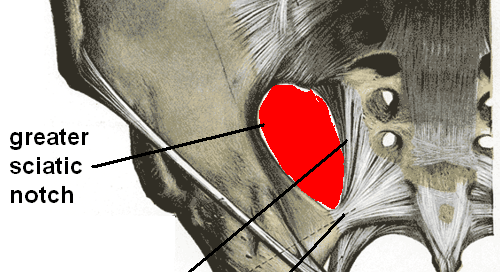 Beginning at the pelvis, it runs through the buttocks and down the back of each leg. The sciatic nerve is responsible for transmitting sensory information from the legs to the spinal cord, as well as providing motor control for the lower limbs. Owing to its large size, the sciatic nerve contains multiple nerve bundles that, when compressed, can result in lower back pain, pain in the legs and feet, muscle weakness, burning or tingling sensations, cramping, and numbness. Many cases of sciatic nerve pain are expected to resolve on their own within a few weeks using at-home treatments recommended by a physician, such as hot and cold compresses, over-the-counter pain medications, or targeted exercises. Some cases may even resolve within several days when using those treatments. A sciatic nerve block is a non-surgical treatment option available for patients experiencing intense and debilitating sciatic nerve pain or whose pain is unremitting despite trying other conservative forms of pain management. A sciatic nerve block serves to prevent the transfer of information from the buttocks or lower limbs to the spinal cord, thereby reducing or eliminating sciatic pain. Sciatic nerve blocks are minimally invasive and do not involve surgery. This treatment involves anesthetizing the nerve bundles within the sciatic nerve, thereby preventing or “blocking” the transmission of information about pain sensations to the spinal cord and brain. Given its large size, there are several methods by which physicians are able to anesthetize the sciatic bundle of nerves. 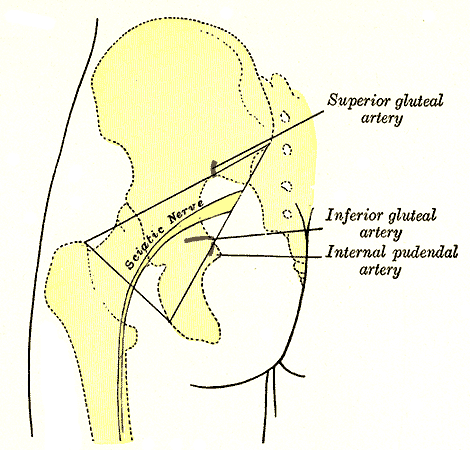 More specifically, physicians are able to target the sciatic nerve through the lateral popliteal approach, the midfemoral approach, posterior popliteal approach, and the subgluteal approach. In all methods, a local anesthetic is applied prior to the procedure. Using a fluoroscopic device (or x-ray) as a guide, the physician inserts a very small needle into the desired area. Typically, contrast dye can be used to test for proper placement of the needle, as well as appropriate distribution of the solution within the area of interest, prior to injecting the anesthetic. Once proper placement has been assured, the physician administers the anesthetic. Moreover, steroids are administered only in areas with the most inflammation. This reduces the amount of exposure the patient has to steroids. The procedure is relatively brief and significant reductions in pain are experienced almost immediately. Following the procedure, the patient is monitored for adverse reactions for anywhere between one to two hours. The sciatic nerve block is an interventional treatment for chronic, unremitting sciatic nerve pain. Sciatic nerve pain can be difficult to diagnose as it may be attributed to a new injury or strain in the lower back. Indeed, many individuals are able to identify a precipitating event that likely played a role in the onset of the pain episode. These events have included motor vehicle accidents, falls, or other traumas. 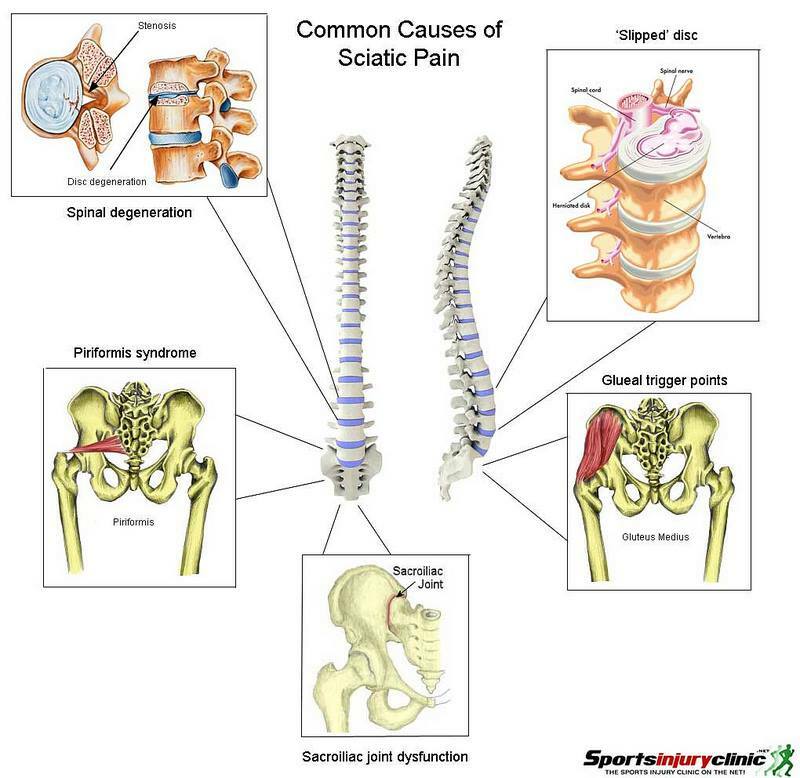 Acute events, however, do not account for all cases of sciatic nerve pain. Previous research has identified a number of characteristics that seem to be associated with an increased risk for developing difficulties with the sciatic nerve. These factors include age, occupation, level of physical activity, diabetes, and genetic factors. In general, the sciatic nerve block has been documented as effective in reducing or relieving sciatic nerve pain in the lower extremities. For individuals who suffer from sciatic nerve pain, it is recommended that a trial of at-home interventions, prescribed by a physician, be a first line of treatment. However, for individuals whose pain has not responded to these conservative methods, a sciatic nerve block may be the ideal treatment recommendation. Further, this pain management intervention option is particularly helpful to those patients whose pain has been largely unresponsive to other conservative methods, or those who experience significant side effects from typical pain medications. The sciatic nerve block is a minimally invasive, non-surgical treatment option for individuals suffering from chronic, unremitting sciatic nerve pain. This treatment option is particularly helpful to those patients whose pain has largely been unresponsive to first line treatments. This procedure is relatively low-risk and its pain-relieving effects can be experienced relatively quickly. For individuals whose pain does not respond right away to the intervention, effects can be felt following a few repeat interventions.